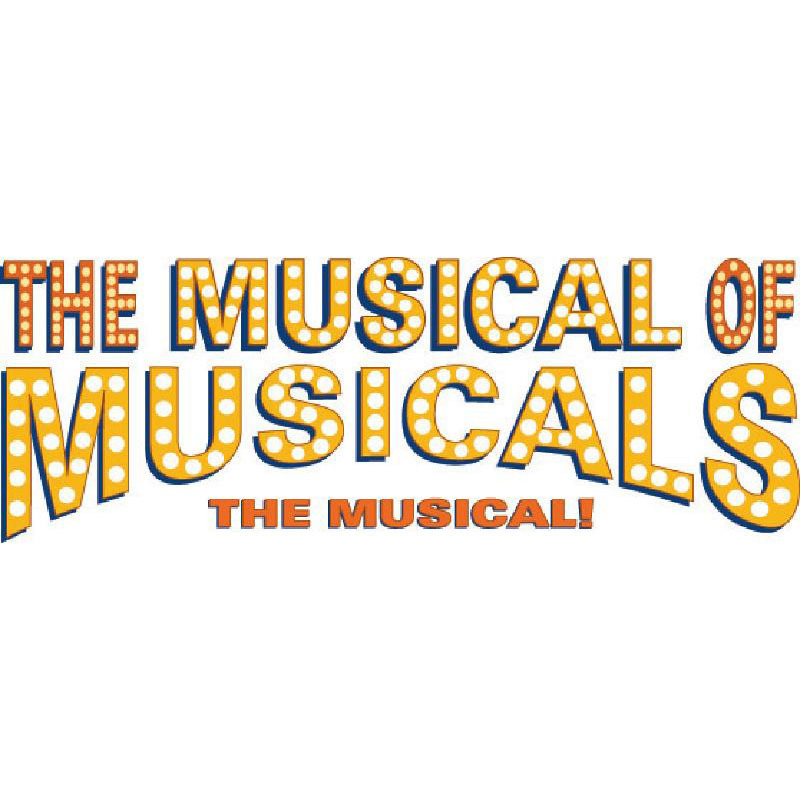 Lights Up: LA’s Chromolume Theatre’s “The Musical Of Musicals: The Musical” Proves Do-Re-Memorable! 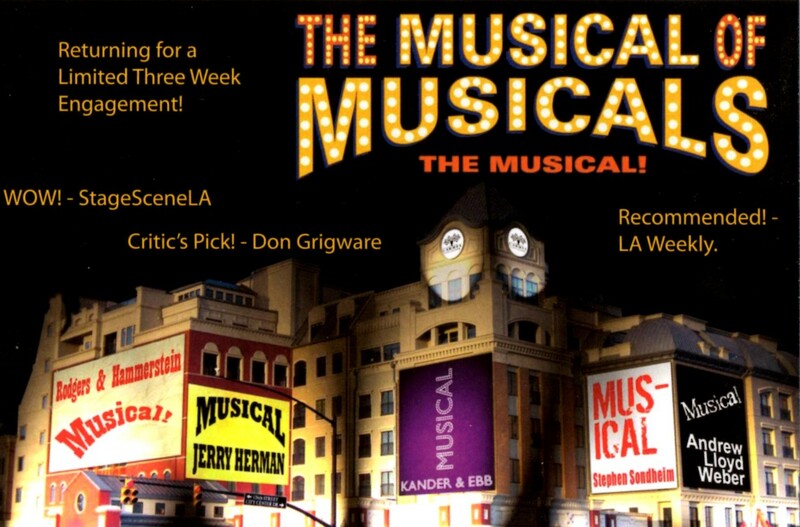 Los Angeles is alive with the sound of “The Musical Of Musicals: The Musical” which returned to “The Chromolume Theatre At The Attic” on Friday March 7th for a limited, three-week run. One basic plot—“I can’t pay the rent” becomes five raucously entertaining and tuneful mini-musicals, each written in the style of a different master of the musical form ranging from Rodgers and Hammerstein to Stephen Sondheim. The book is by Eric Rockwell and Joanne Bogart (who also contributed the Lyrics) with Music by Eric Rockwell. It takes a masterful team to parody other masters so effectively and these two have created such a smart, hilarious and easily produced a little masterpiece that no musical theater fan or show-tune aficionado will want to miss it! In fact, the puns comes so fast and frequently, you’ll have a great time trying to count them all! Told in five individual acts, in addition to Sondheim and Rodgers & Hammerstein, healthy homage is likewise paid to Jerry Herman, Kander & Ebb and Andrew Lloyd Webber—with even a quick nod to Marvin Hamlisch at the evening’s close. Inside the Chromolume’s intimate 99 seat space, a simple black set effectively serves multiple purposes, opening with the single piano that will serve as the sole accompaniment upstage, with the addition of a rocking chair downstage right. At Lights up, episode one is introduced—a Kansas farm in August and we are into “Corn” a lush romantic send-up of all things Rodgers and Hammerstein. Our hero “Big Willy” bursts forth with “Oh, What Beautiful Corn”—a song peppered with plenty of familiar phrases and references to many of the team’s other hits. His girl, ‘June’ lives on the farm with ‘Mother Abby’. The villain of the piece is ‘Jidder’ (“Don’t call me Leisl”)—the landlord with eyes on June, who will forgo the rent she can’t pay on the condition that she agrees to marry him. Of course, this would be out of the question save for the fact that (in true R & H tradition) Willy and June spend most of their time trying desperately to not admit that they really are madly in love with one another: “Don’t throw OK’s at me” they argue during one such moment and when Willy decides to leave he does so shouting “So long, farewell, auf wedersehen, GOOD BYE!” In the end however, all is right and a spirited and splashy conclusion (also in true R&H tradition) ensues. Act two is a sharp-witted satire on the collected works of Stephen Sondheim titled “A Little Complex”. Taking us to a dingy apartment complex called “The Woods” filled with “Unlovable people whose lives are hollow” who insist on singing “dissonant and overly complex melodies,” overseeing everything is Jitter, the tightly-wound Landlord, who we’re informed is also an Artist—and DEMON! (Picture Georges Seurat were he Sweeney Todd!) Here too, the line takeoffs are both subtle and clever all at once. When June (here called “Jeune’) asks the tortured ‘Jitter’ for a little respect and decorum, comes her reply, “I try, but a funny thing happened on the way to decorum.” Lights up on Act three takes our imaginations to a swank Manhattan penthouse with “Dear Abby”, a right-on send up of the works of composer Jerry Herman. Upon Abby’s ‘grand entrance’ (—in a feather boa, no less,) she advises us, “Life is a ‘Star Vehicle’ and most poor suckers are stuck in a ‘Bus and Truck’ tour!” This is easily the most ‘jovial’ of the evening’s offerings featuring flashy, brassy women and flamboyant men (“We’re ‘queer’ for Abby” they shout) with everything culminating with the standard giant “Stair-case’ number. The second act (or should that be the act after intermission) brings us “Aspects Of Junita” a completely sung-through segment honoring the works of Andrew Lloyd Webber. It’s rock-opera meets ‘mock-opera’ (Think of it as what would happen if “Phantom Of The Opera” crashed headlong into “Evita”, with “Sunset Blvd.” driving.) Junita offers an opening salvo titled “I’ve heard this song before” that launches the goings-on into the stratosphere! (After much melodic ‘sturm-and-drang’ she finally laments “Can’t we just talk? !”) This is also the most ‘effects laden’ episode—where, at one point, the cast skate around on scooters scowling like Cats and (naturally) a chandelier comes crashing down toward the finale. 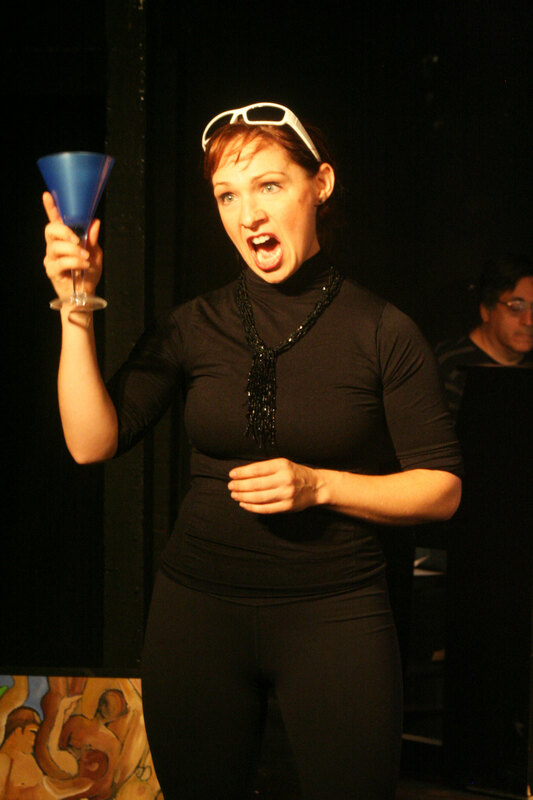 The last act is dedicated to the works of Kander and Ebb and is titled “Speakeasy”. Lights up on a shabby little Cabaret in Chicago, where everyone speaks with a strange German Accent. Jitter (here pronounced Yooter) is a pseudo-pig-latin spouting M.C. who greets us with “Meine damen und air-heads” as he introduces ‘Juny’ (That’s Juney with a J” she sings) Juny’s boyfriend is ‘Villy’ who, while in prison, has gotten in touch with his more ‘feminine’ side and spends his time spinning lush fantasies a la “Kiss Of The Spider Woman”. His “Color Me Gay” (–a spoof on Barbara Streisand’s “My Coloring Book”) is a definite highlight here and later, the take-off on Chicago’s “Cell Block Tango” called “Just Don’t Pay” is perhaps the very best production number in the entire show. All of the lampoonery scores a big bull’s-eye when it comes to garnering big laughs; each member of the cast is a vocal powerhouse and each has their individual moments to shine. 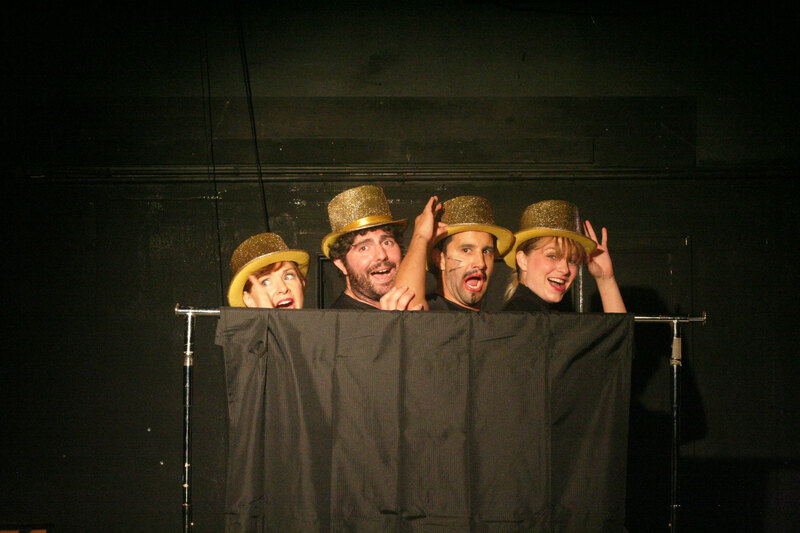 The four person ensemble all portray variations on the same part in each act’s various ‘incarnations’ as they seamlessly slip into one show or song parody after another. They include Jason Peter Kennedy as our hero “Will”, Jean Altadel as “June”, Christina Morrell as “Abby” and Eduardo Enrikez as “Jitter”. Morrell has a brilliant voice worthy of a 9999 seat house, and her inspiring chanson “Follow Your Dream Until You Die” earns an A-Plus early on in the evenings proceedings, while Altadel’s “I Have Birds” (performed during the Sondheim send-up) demonstrates just how potent the pipes are on this talented young lady. On opening night, the part of “Jitter” (in all his manifestations) was played by Jason Chacon who himself demonstrated expert characterizations—some remarkably subtle, some not so much–expertly catching the essence of every Sondheim and Lloyd-Webber leading man wonderfully! Director Kristin Towers-Rowles has crafted one large fast-paced, nutty rollercoaster ride wherein the laughs are deep and genuine. Choreography is by Samantha Whitby who does a great job filling the stage with only a quartet of performers. Act one features a nifty (and ‘Highly symbolic’) “dream ballet” that is anything but ‘run of ‘De Mille”, nor is her takes on the styles of Bob Fosse, Jack Cole, Ron Field or numerous other choreographers who made these original shows so unforgettable. Moreover, Kara McLeod’s effective costumes consist of plain black rehearsal clothes augmented with simple articles that suggest character such as hats, vests, aprons and capes. Musical Director and Accompanist Richard Berent’s inspired scene change music—whether it’s “Send In The Clowns” played as a dirge or snippets of grand opera mixed with pop/show tunes like “Don’t Cry For Me Argentina” make even the scene-change blackouts highly enjoyable too. “The Musical Of Musicals: The Musical” will run for three weekends through Sunday, March 23. Show-times are Fridays and Saturdays at 8:00 PM, with Sunday matinees at 2:00 PM. Tickets may be purchased by calling (323) 205-1617 or on-line by logging onto: www.crtheatre.com ; The Chromolume Theatre At The Attic is located at 5429 W. Washington Blvd. (between the 10 Freeway and Hauser Blvd.) in Los Angeles California. Production photos by James Esposito, Courtesy of Ken Werther Publicity. Special Thanks to Ken Werther at Ken Werther Publicity and to the cast and crew of The Chromolume Theatre at “The Attic’s” “The Musical Of Musicals: The Musical” for making this story possible. This entry was posted in Theater reviews and tagged "A Little Complex", "Aspects Of Junita", "Corn", "Speakeasy", "The Musical Of Musicals: The Musical", 2014 Southern California Theater Season, Andrew Lloyd Webber, Jerry Herman, Kander & Ebb, Los Angeles 99 seat theaters, Los Angeles Theater, Marvin Hamlisch, Musical Parodies, Rodgers & Hammerstein, Stephen Sondheim, The Attic, The Chromolume Theatre, TMOM. Bookmark the permalink. Thanks for this great review and pointing out the fantastic cast and their individual talents, as well as giving credit to the director and choreographer. This show deserves awards!